It’s hard to believe it’s almost Christmas! I’m sure some of you are scrambling to find gifts for that special person in your life and I will try to help you with a few ideas for stocking stuffers. 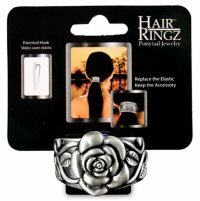 If your special someone has long hair here are a few things you may pick up at your local shopping establishment. Hair ties, or rubber bands are great for men and women. Scunci no slip jelly ponytailers; your hair definitely won’t slip out of these, and your ponytail won’t slide down your head during the day requiring you to keep readjusting it either. 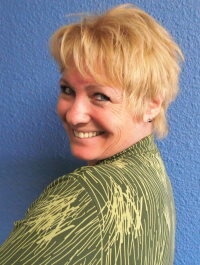 Hair stays put! 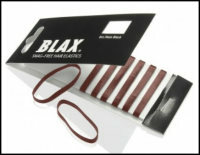 Blax hair elastics – They’re the ones that many celebrities and celebrity stylists use. They are super high quality, truly damage-free for your hair, and they don’t break! The 4mm ones are the easiest to work with. Sephora Collection snag-free hair bands, these hair bands are super stretchy which means less pulling and tugging on your hair during removal. 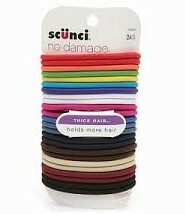 Scunci no damage hair elastics – these are best for thicker hair. They’re covered with very thin material, so when you’re removing them, they don’t tug on your hair like the latex rubbery hair bands sometimes do. Smoothies ponytail holders – there’s no metal in these. Plus, they’re available in lots of fun colors to coordinate with your outfits. Travel size hairspray and mousse. Great for carrying in a purse or saddlebag. The wet brush for pain free detangling. You can now get the wet brush mini that is about 4 inches long and you can find them easily on amazon.com. they come in a multitude of fun colors and patterns. Whatever you choose will sure to put a smile on any face! If your looking for something different try places such as Hot Leathers.com. there are hair accessories that are fun and unique. 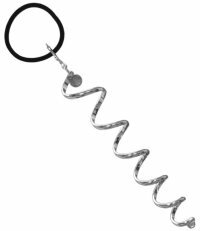 They have leather sheaths that come in several lengths and metal spirals that have bling. Also don’t forget that your hair can become just as damaged as is does in the summer. With that the in mind use a leave-in conditioner whenever you ride to keep your locks soft and tangle free.